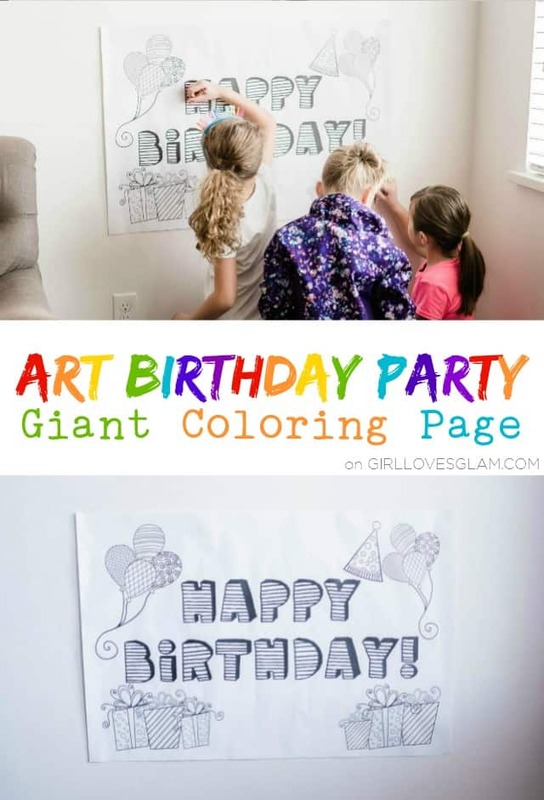 You have seen the art birthday party decorations and treats, but a party isn’t a party without the fun! 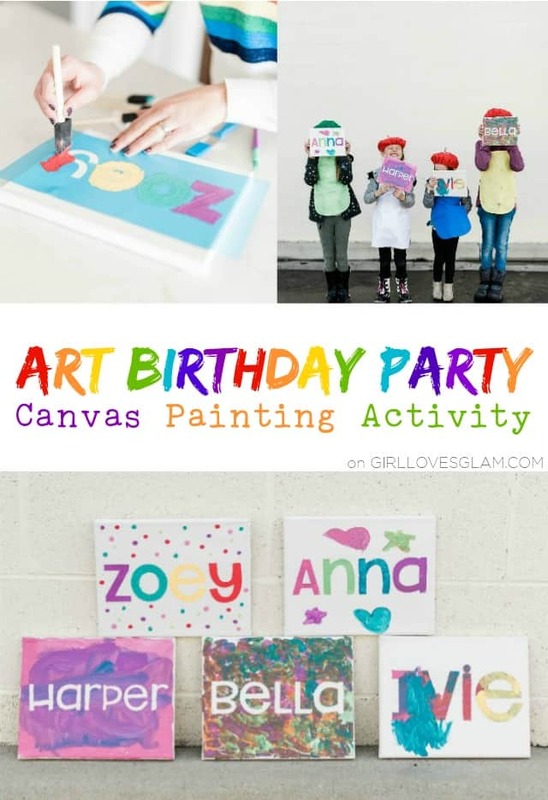 Our art themed birthday party had really fun activities that I just know you will want to do at your own art birthday party. I hate that awkward time that you wait for the guests to show up. You just have kids kind of sitting there, anxious to get started. This year, I had an idea that helped save that awkward time and turn it into a fun activity. I created a giant coloring page and let them all color until the guests were there. 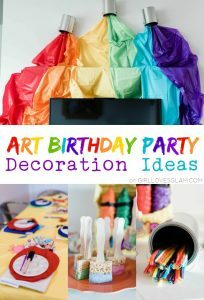 This was perfect for an art themed party, but it could be used for any party! 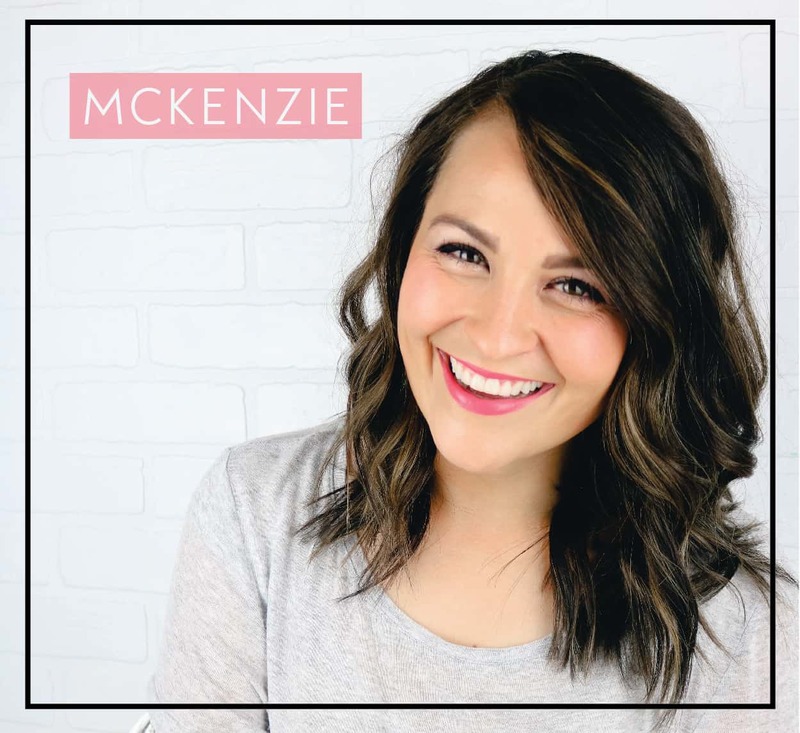 I created this printable so that you could do this for yourself as well. Just head to a print shop and have them print it as an engineer print. 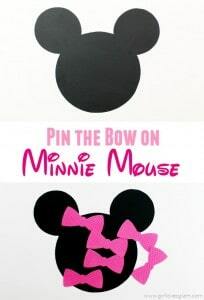 It is only about $2 to get it printed and it entertains your guests until all of the guests have arrived! You can download your own giant coloring page by following this link. Just remember to have them print it in an engineer print size! In every party that I throw, I like to have some sort of activity that is something the kids can make and take home with them. 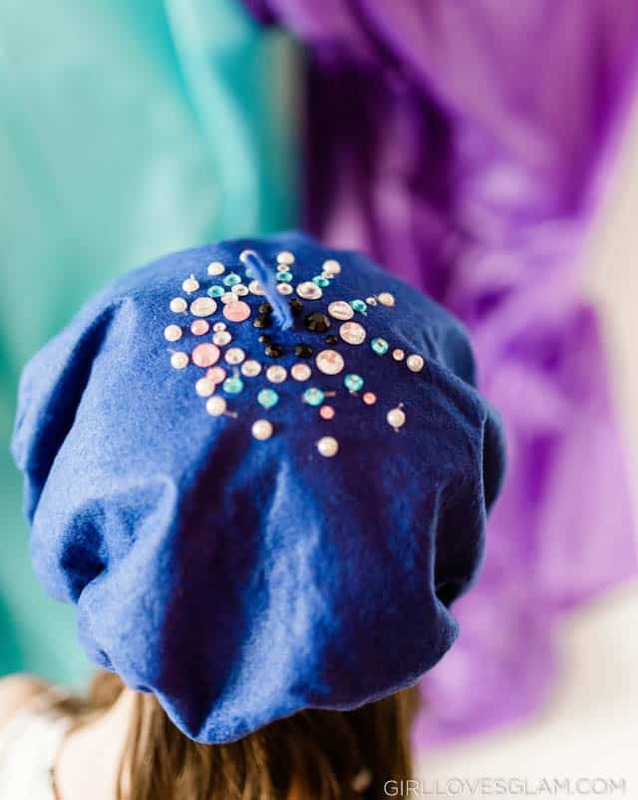 We have done quite a few different things each year but I just knew the perfect thing for them to decorate were inexpensive berets! An artist isn’t an artist without a beret, right? I was able to find a package of a dozen beret hats that worked perfectly for this activity. 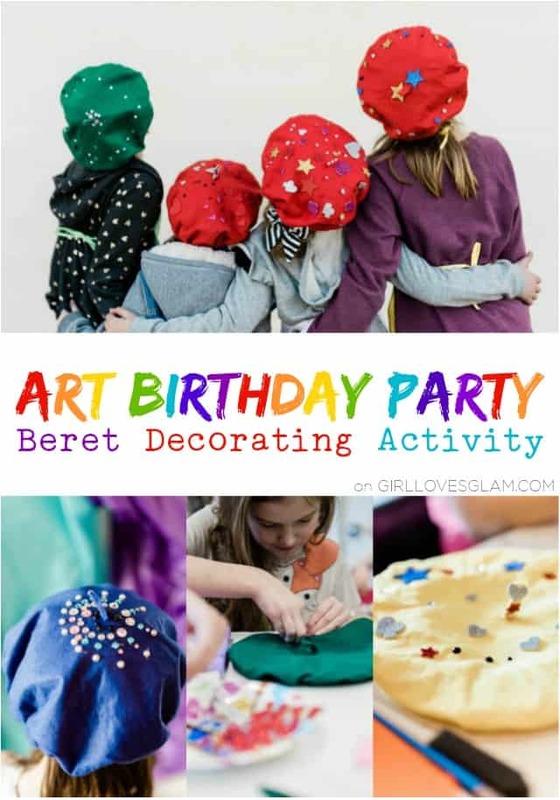 I gave each girl a beret and had foam stickers and sticky jewels out on the tables and let them be creative! 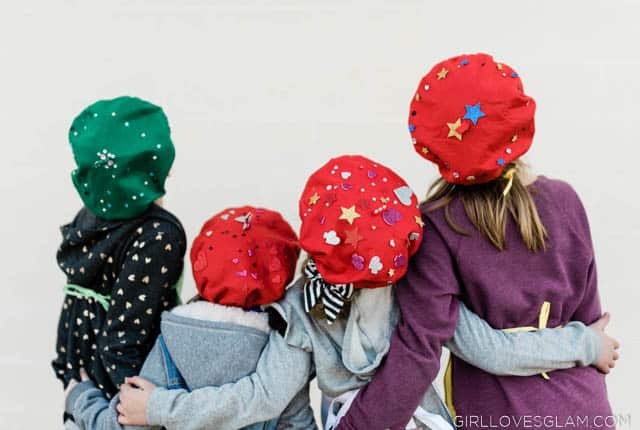 It was really fun to see how each girl decided to decorate her beret. They had their own styles that they would create and they all turned out so cute! I am a big fan of pin the tail on the donkey games. It is classic and honestly, even older kids think it is funny. You can even make it more challenging by making them hop on one foot or something. For our art party, we made a “pin the paint on the palette” game. I made this printable version that you can download and get printed as an engineer print. I cut the paint splats out with my Silhouette Cameo and had each kid have a coordinating color with the paint palette. When it was their turn, they would try to get their paint color as close to their own color as they could. It was pretty cute! An art party isn’t complete without creating some actual art! 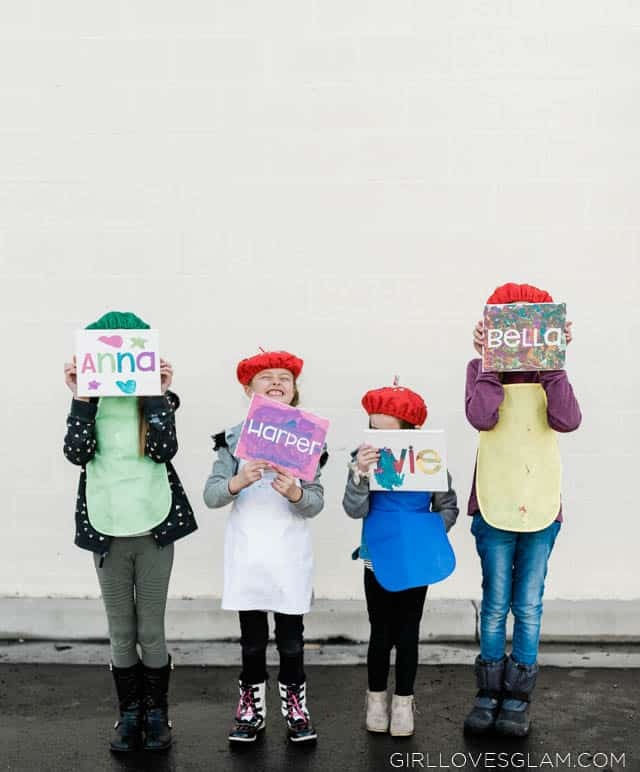 After they made their berets, the girls made canvas art with their names on them. 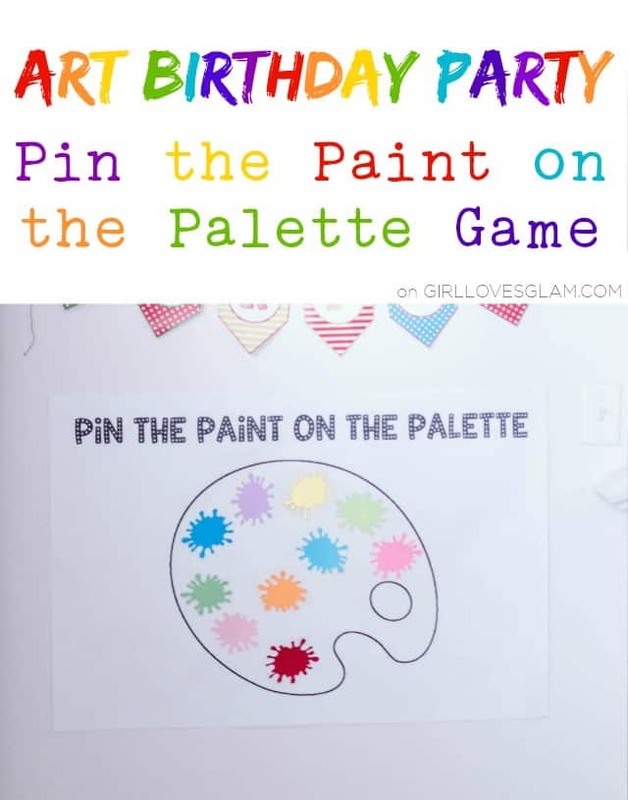 We did the other activities like pin the paint on the palette, the pinata, gifts, and cake afterwards, so that the canvases had plenty of time to dry. 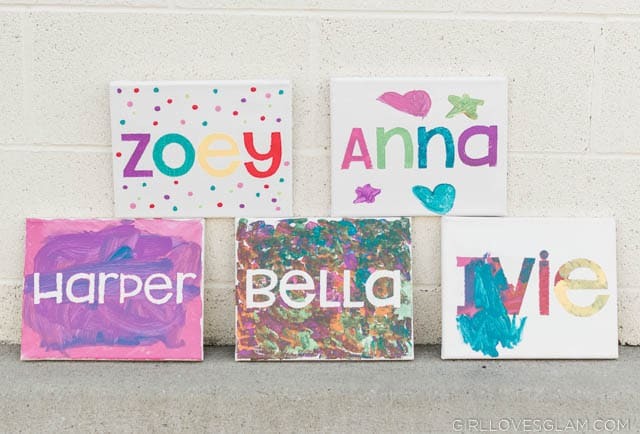 To make the custom canvases, I cut out each of the kids’ names with my Silhouette Cameo onto stencil vinyl. This stuff is awesome! 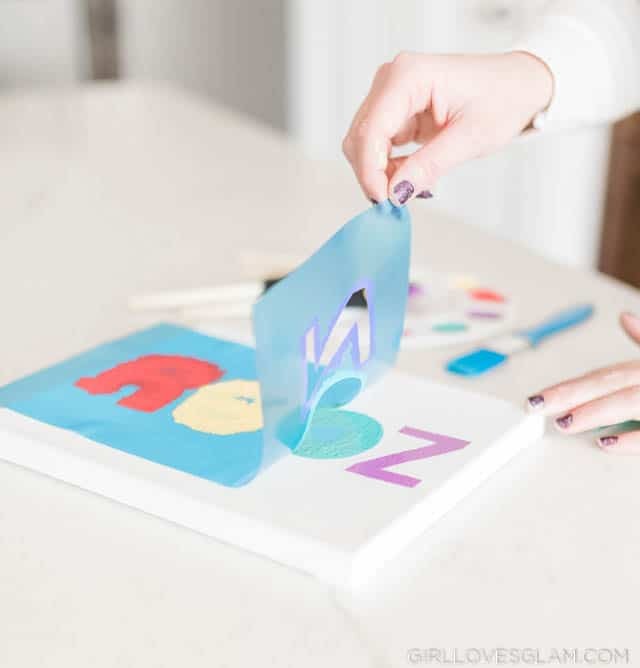 It is made specifically for stenciling and it works really well! I gave the girls the option of having their name be white and paint around it, or have their name be colored. 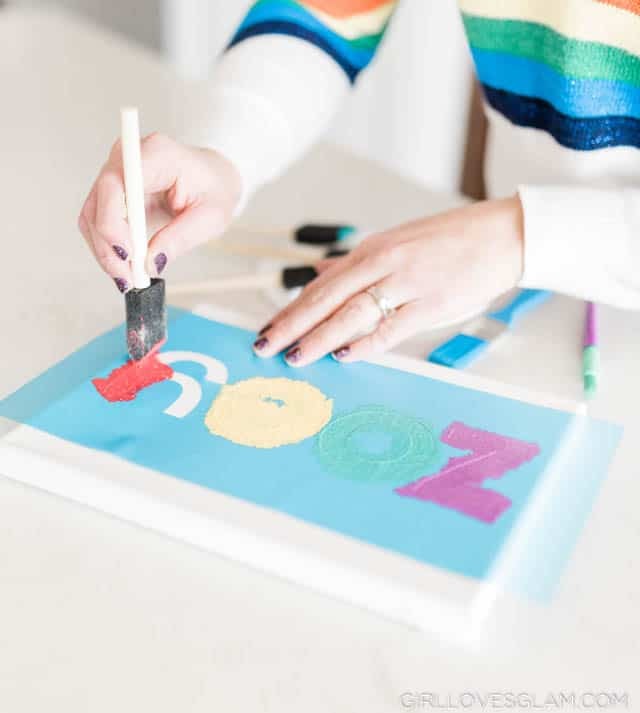 If they wanted their name to be white, we put the vinyl name on the canvas and had them paint on top of the vinyl and then decorate around on the canvas. 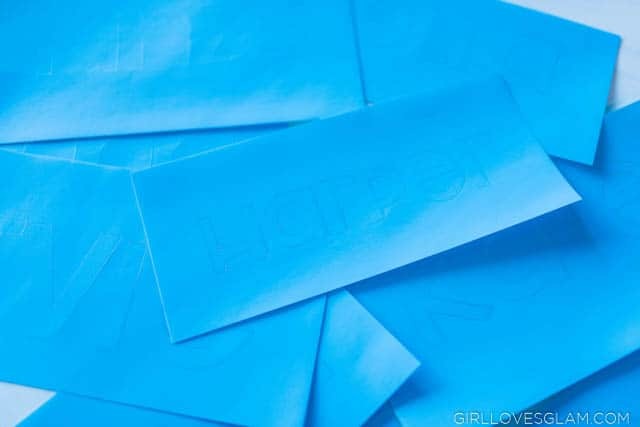 If they wanted their name to be a color, we put the outline of their name down and had them stencil it. Then they could decorate the outside of it after we pulled the vinyl up. The main thing that we had to remind the girls of was to pat the paint down, rather than brush it on, so that the paint wouldn’t sink underneath the vinyl. 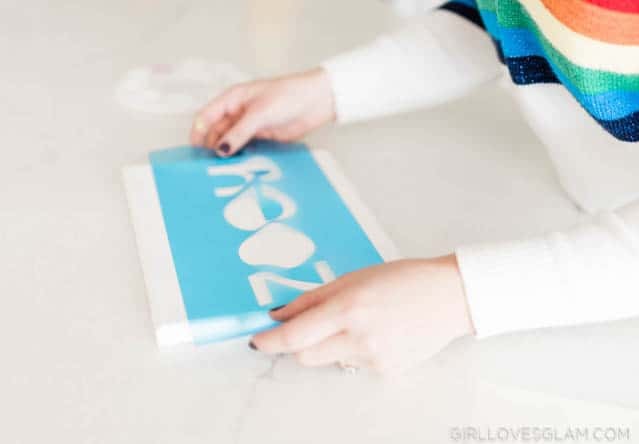 After you have stenciled, you can pull the vinyl off of the canvas. It was really fun to see how each of the girls chose to decorate their canvases. They each had their own spin on it! This party was just so fun to throw! Our party guests had such a fun time! 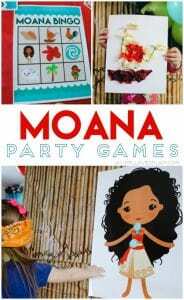 I hope these ideas will help your upcoming party be a success, too! 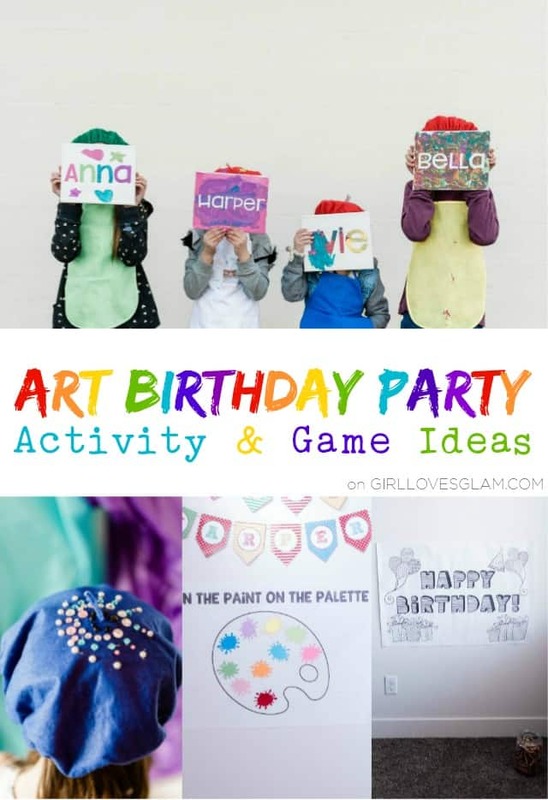 Don’t forget to check out the art birthday party decorations and the birthday party activities we have done in year’s past!